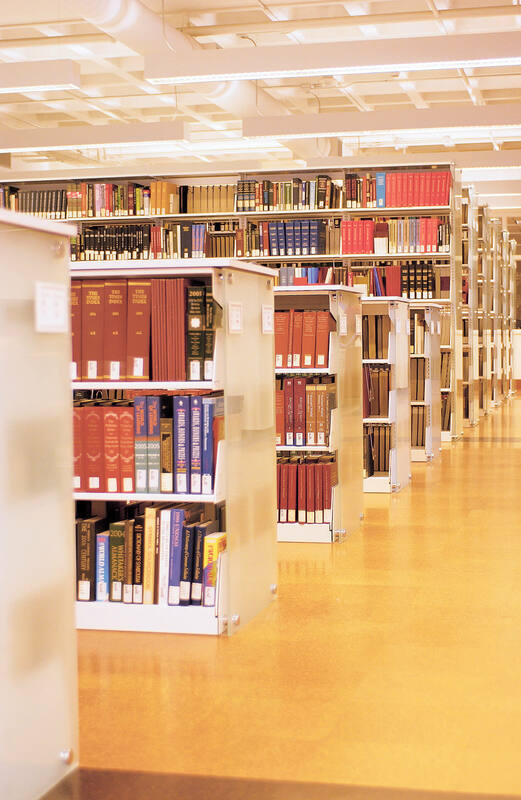 Commercial metal storage is used in a variety of applications, from libraries to pharmacies, warehouses to museums and much more. 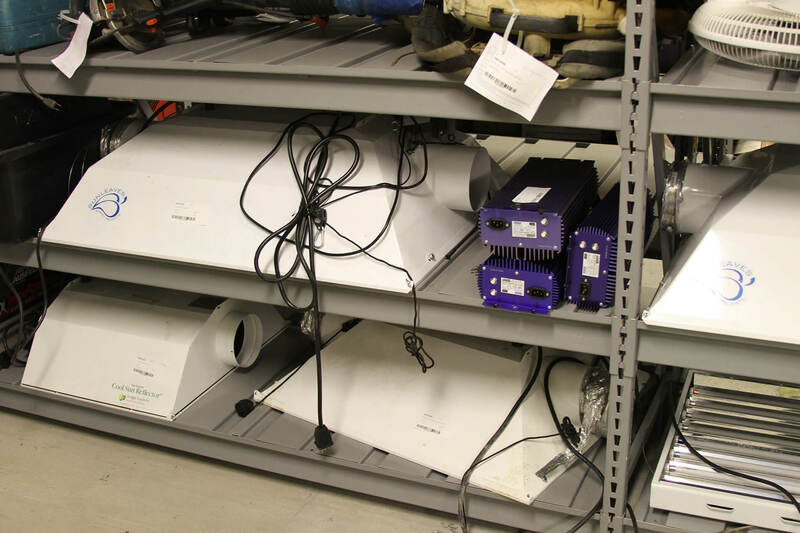 Though storage is a given at most facilities, having enough space for everything to fit is a constant battle. 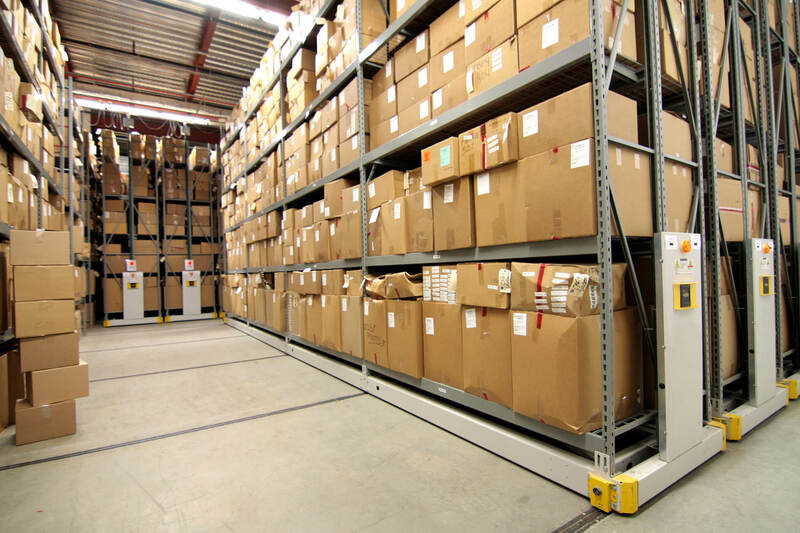 Our commercial metal storage systems are easy to install, adjust, and expand to fit the needs of your business today and any changes you may face in the future. 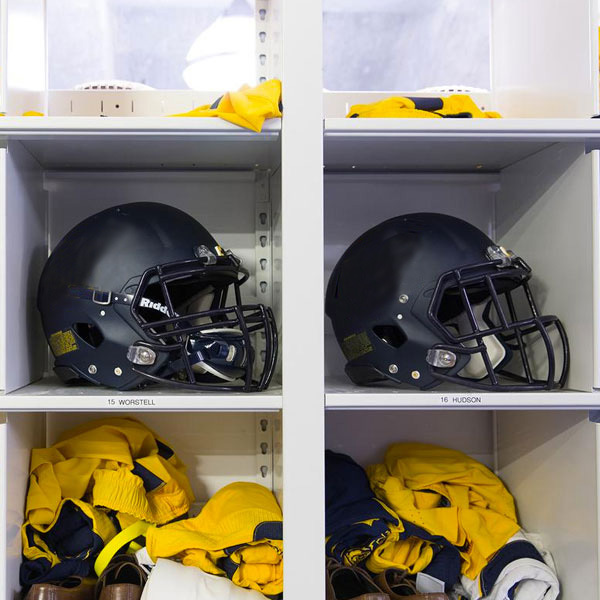 No matter the type, weight, and bulk of what you need to store, there’s a commercial metal storage solution to fit it. 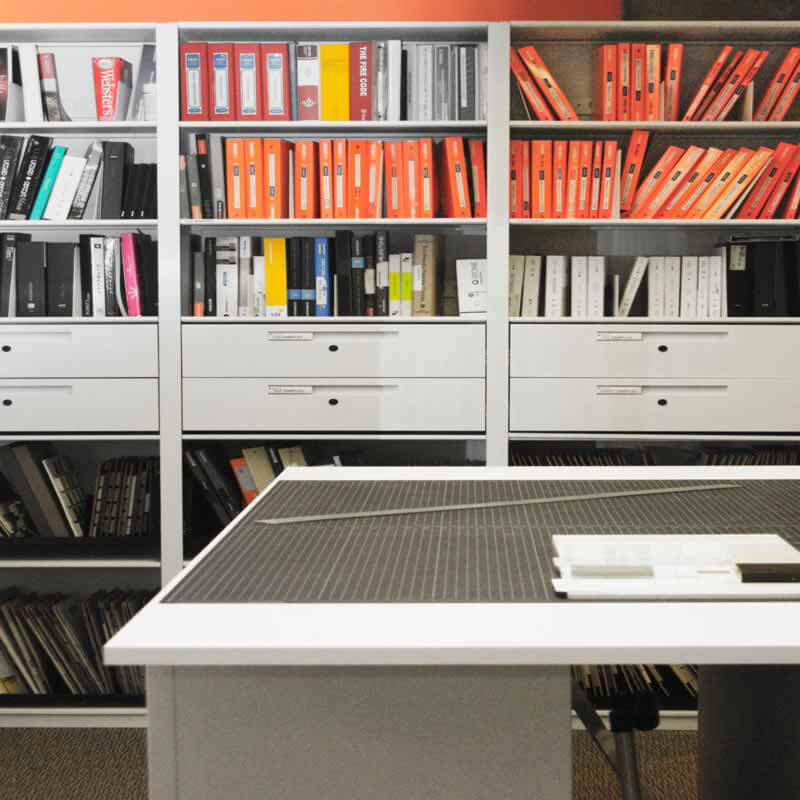 Our options can help optimize your available space and organize the things that are essential to your bottom line. 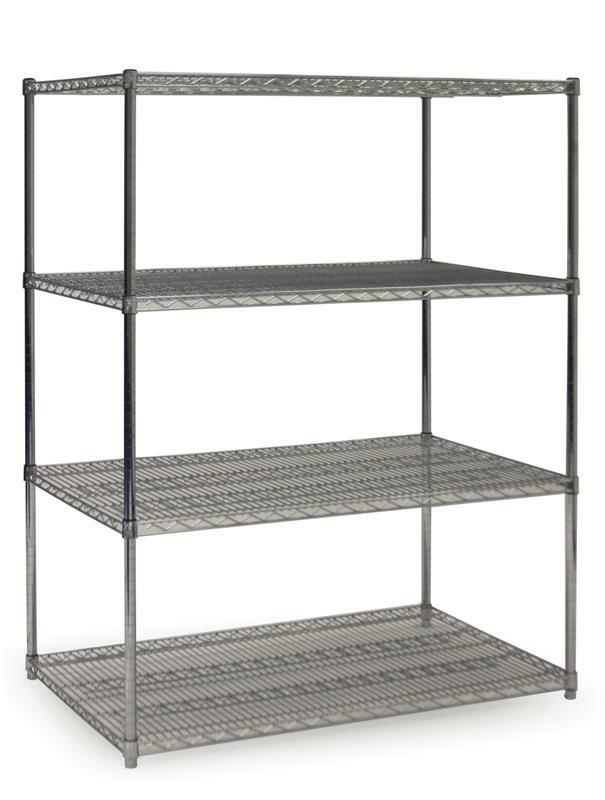 Attractive and versatile, this commercial metal storage option offers a cost effective solution with adaptable shelves and the ability to store virtually anything. 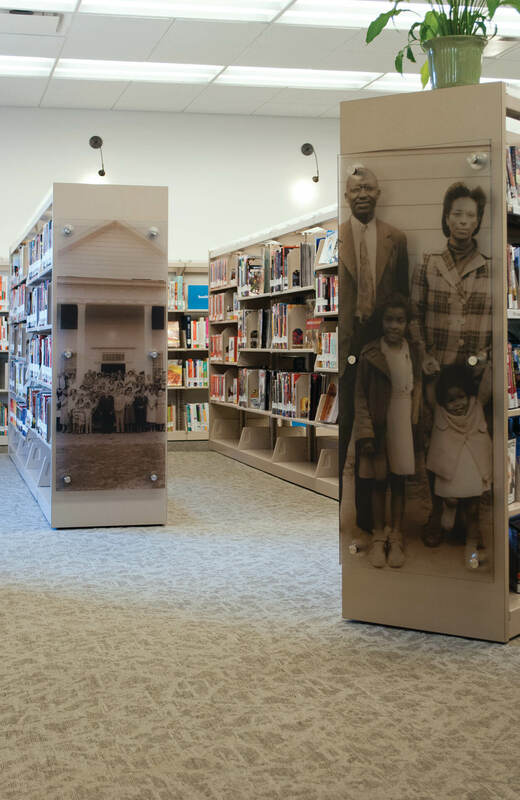 4-Post and Case-Type shelving differ from ordinary metal shelving due to their universally slotted features, allowing the use of file dividers, bin dividers, and divider rods. 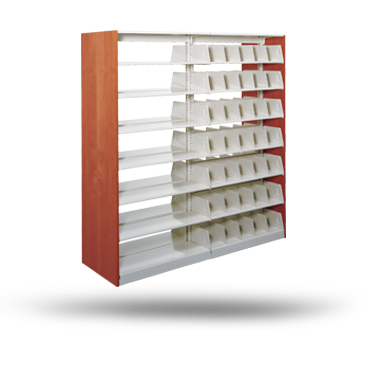 The universal shelves permit stacking boxes, organizing files, and storing other materials all at the same time. 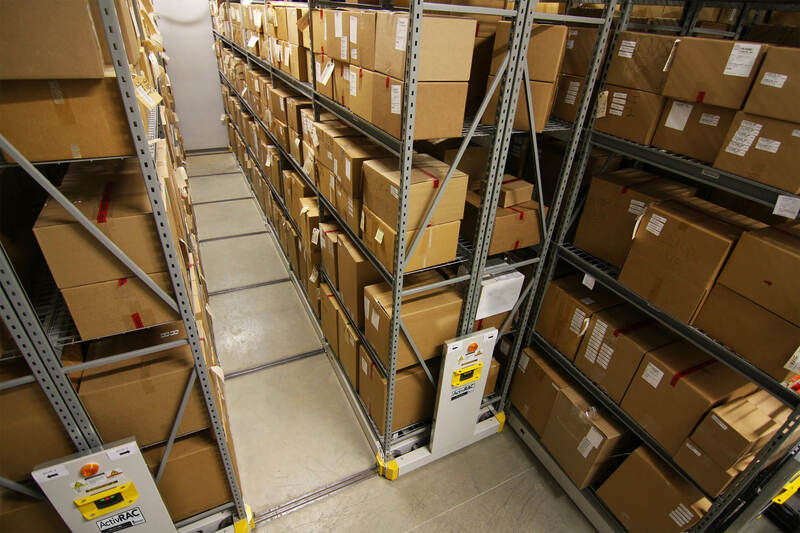 Door and drawer add-ons give you flexibility to select any component today with the ability to change, add, or reconfigure later – which is another benefit of commercial metal storage systems. 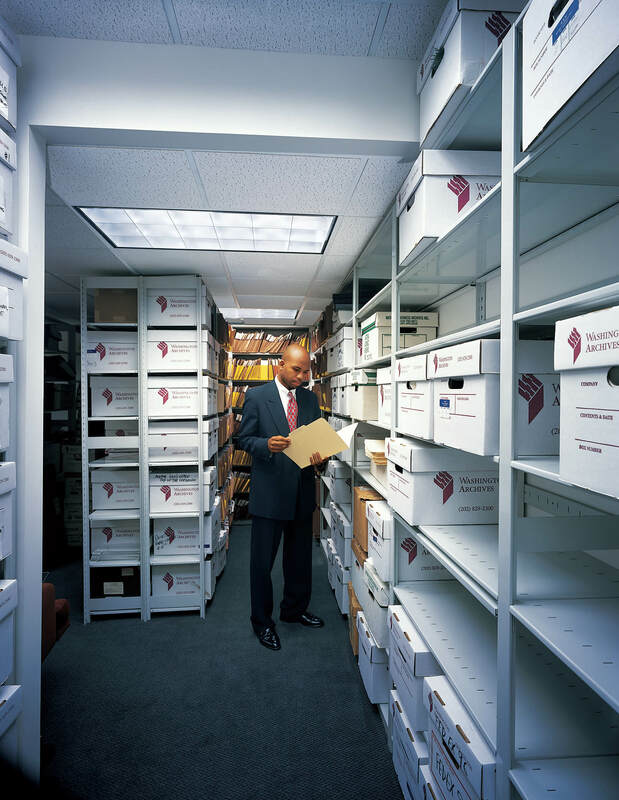 This commercial metal storage option is ideal for corporate, academic, public and legal libraries. 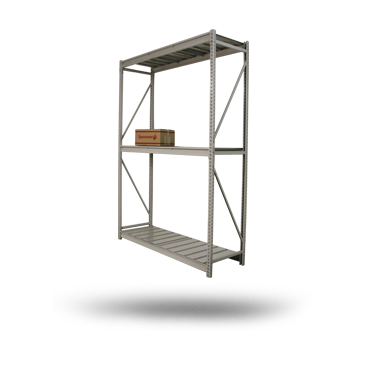 Cantilever shelving by Spacesaver offers a comprehensive range of features and storage accessories to meet your needs. 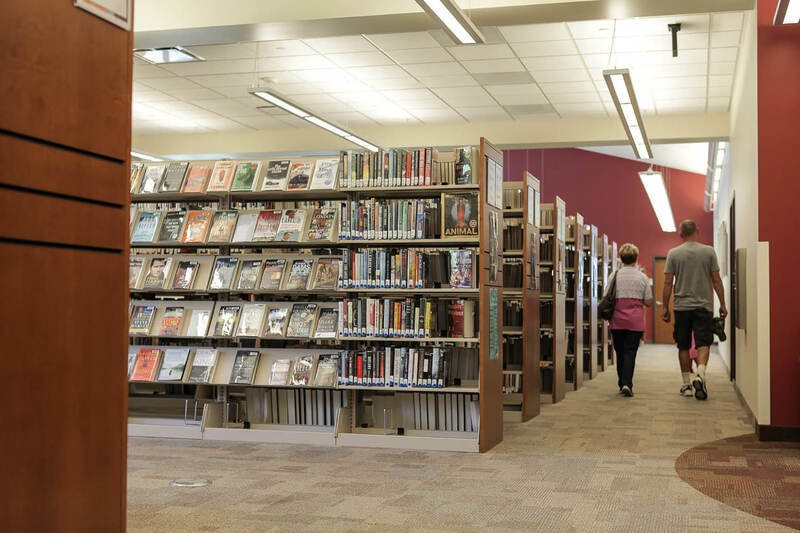 The system is capable of storing a collection of media formats, articles, books, newspapers, and more – making it a great fit for many spaces. 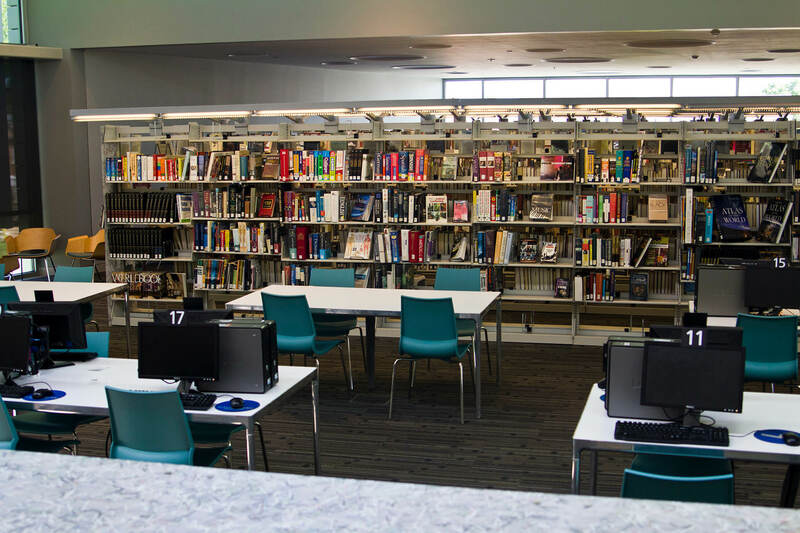 While we typically recommend cantilever shelving for library spaces, we have seen it applied to museums, public safety facilities, industrial warehouses and more. 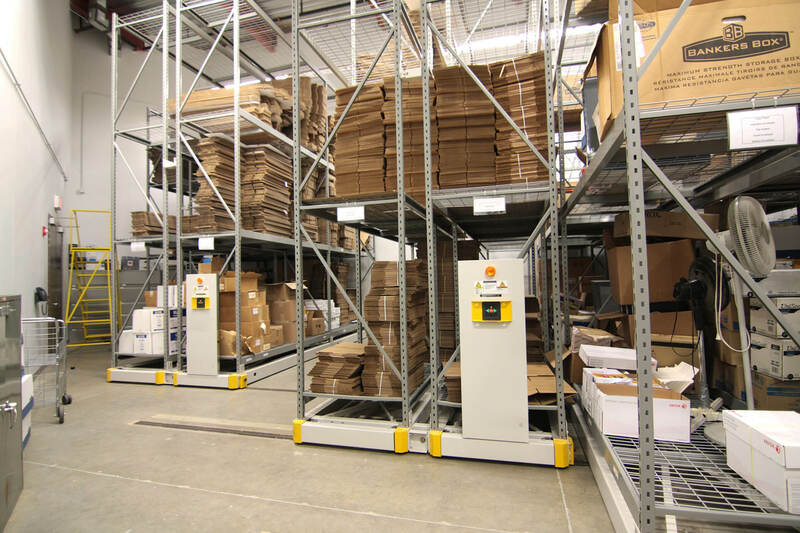 With the Modular EZ Rail element you can further transform this commercial metal shelving system into a holder for industry standard plastic bins, pegboard, slat-rail, and slat-wall accessories. 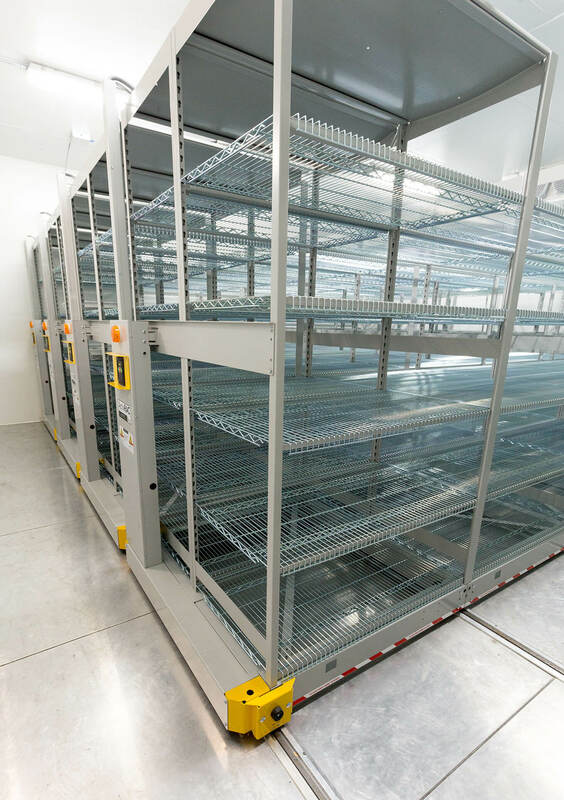 For sterile environments like pharmacies or the food industry, wire shelving is the ideal commercial metal storage option. Finishes are available in Chrome Plus (SH) – perfect for high visibility and dry storage areas or Duro-Seal (PW) – great for high humidity storage applications such as walk-in coolers and freezers. 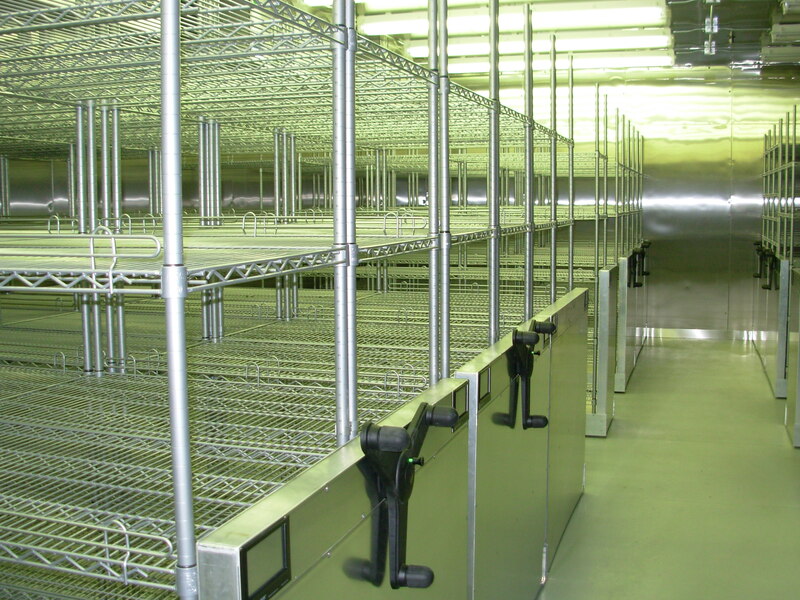 Wide-span shelving, also called RaptorRac, is the rugged and versatile commercial metal storage option. 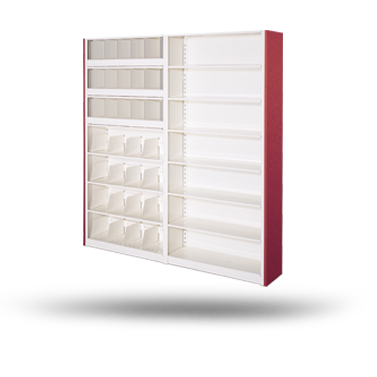 It provides a platform for storing an array of bulky and heavy items and comes in a variety of standard and configured sizes. 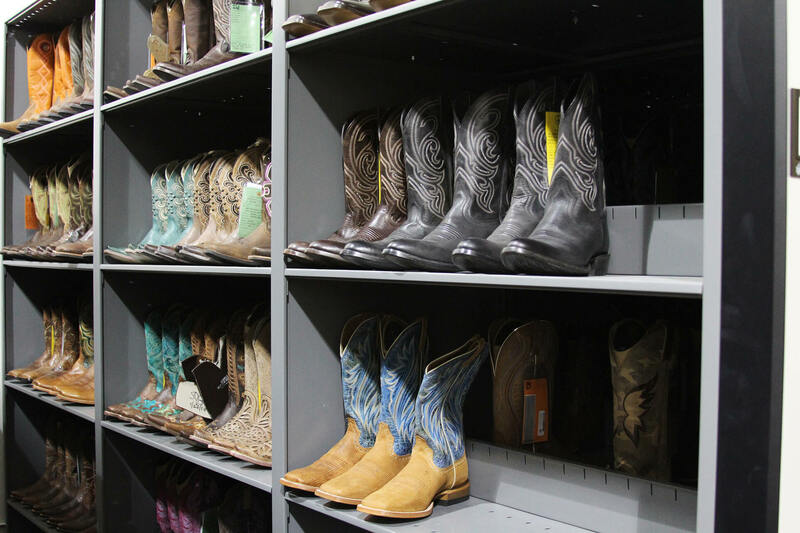 We can even design a specific shelving size to match your needs. Interested in more product detail? 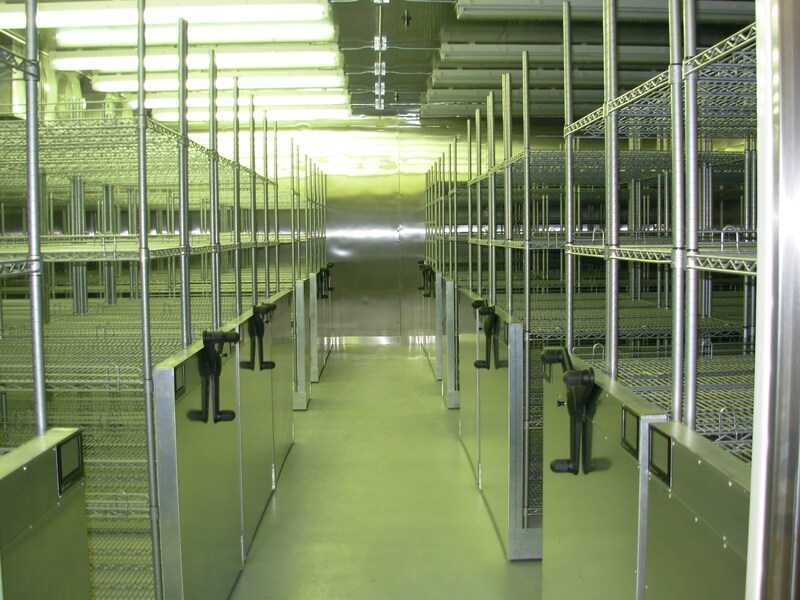 Looking to maximize your commercial metal storage and increase space, but unsure where to start? 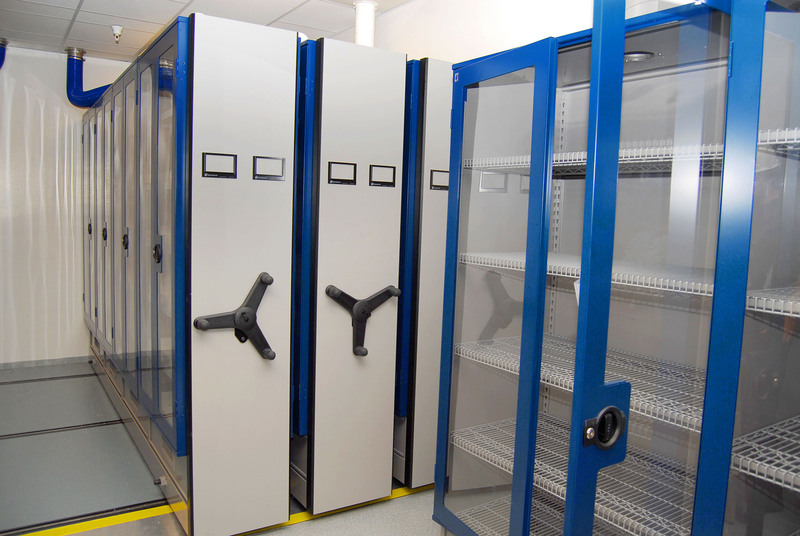 Contact Spacesaver Storage Solutions and receive a complimentary space analysis.